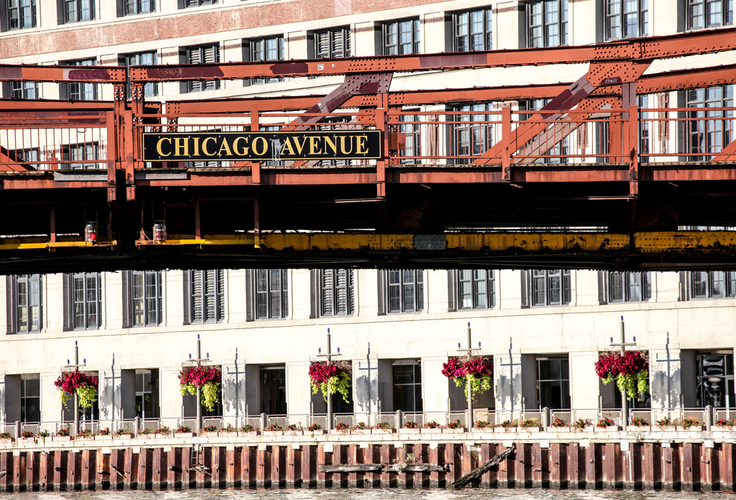 These apartments are located in the heart of River North, and you will be hard pressed to find a more centrally located rental in downtown Chicago. Amazing restaurants, nightlife and more are right out your front door. If you don't want to always have to leave your apartment to have fun, no worries, this apartment building has amazing amenities. From the outdoor track, putting greens and pool to the indoor basketball court, gym and spa area, these downtown apartments have all of your activities covered. Modern kitchens with white/maple or espresso cabinets, granite countertops, and stainless steel appliances are found in all of the apartments. You'll love the downtown Loop views from your luxury apartment with spacious balconies. Feeling like staying in? You can still enjoy the downtown Chicago views with floor to ceiling windows. A walk-in closet and spacious floor plans give you a ton of storage space. Your rent price includes heat, air-conditioning, internet, cable, gas, sewer, water and trash removal.